Machinery automation could be compared to the human body. Your eyes are the sensors that monitor operations. Your hands are the actuation to maneuver things around you. Your brain is the process control, providing intelligence and managing processes. Traditionally, machines in industrial environments could only provide actuation, but not anymore. With Industry 4.0, the Industrial Internet of Things (IIoT), digitization or whatever term you use to describe the technological shift in manufacturing, there is no denying its existence. According to a recent report, 85 percent of manufacturers are already making the move to Industry 4.0 or are planning to make the transition soon. Connectivity in manufacturing facilities is not an entirely new concept. Machine-to-machine (M2M) connectivity has existed for decades. However, recent technological advances are allowing manufacturers to integrate physical automation with intelligence and data, creating fully smart plants. As we enter the era of Industry 4.0, this article should help dispel some common misconceptions about implementing smart manufacturing. Humans have spent thousands of years reducing their need to take on physical labor by investing in tools and machinery. In automation terms, this mechanical muscle became an integral part of automotive manufacturing when six-axis robots became a standard addition to assembly lines in the 1960s. However, today’s automaton goes beyond physical actuation. The threat of smart machines can often portray a depressing outlook for the job security of those working on manufacturing lines and in other industries. Nevertheless, the deployment of smart technology is certainly not the end of humans in the manufacturing and engineering realm. Consider smart factory software. Modern applications often encompass a distributed control system (DCS) with supervisory control and data acquisition (SCADA). This type of software can automate manufacturing processes while collecting production data from the plant. Data could include information from the supply chain, productivity statistics, predictive analytics and energy consumption data. Naturally, implementing this software reduces the need for human intervention during operations, but humans remain the decisive factor. There is no advantage to collecting production data without plans to act on it. Manufacturers want software that can collect data in real time and, more importantly, visualize this information in an intelligible format to enable employees to make informed decisions. The human brain could never successfully acquire or comprehend the plethora of data that a SCADA system could, just as an assembly-line worker cannot compete with the productivity levels of industrial robotics. However, there is no reason that these new, mechanical minds cannot work harmoniously with the more creative, empathetic and subjective minds of humans. In a recent study, 64 percent of manufacturers said their greatest area of concern when implementing connectivity was that initial development costs were too high. Frequently, manufacturers remove an existing system with the delusion that it lacks the functions required for smart manufacturing, but a complete system overhaul usually is not necessary. Although investing in industrial automation is important, it is vital that manufacturers assess their hardware needs before purchasing unnecessary technology. Take collaborative robotics as an example. Much of the hype surrounding this technology focuses on the robot’s ability to work without robotic work cells, but does this really enhance your manufacturing operations? While collaborative robotics could be an intelligent investment for some manufacturers, following the latest trends in automation isn’t always the right investment for all. An average manufacturing facility will encompass an array of equipment, ranging in age, manufacturer and communication standards. To enable smart manufacturing, hardware must be able to communicate with each other, but this can be difficult to implement. In fact, more than one-third of manufacturers admit that they are struggling to successfully complete their smart manufacturing initiatives. 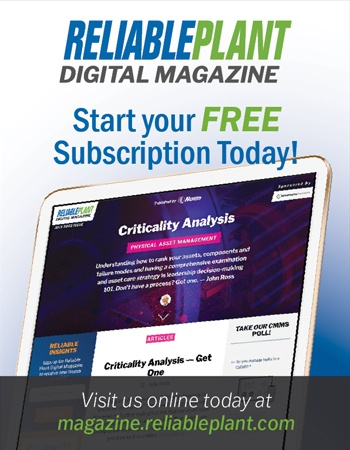 The transition to smart manufacturing is never simple, but manufacturers should always explore all options before disregarding the process as “too expensive.” For instance, choosing process control software that is hardware-independent or that can operate on several different communication protocols can eradicate the need to invest in an entirely new hardware system. Instead, a smart manufacturing strategy should be put in place before any financial outlays are made. Manufacturers should carefully consider what they wish to achieve from the investment and make buying decisions based on these goals. For example, electronic goods manufacturers could prioritize fast speeds and high levels of accuracy to compete with cheaper manufacturing economies. 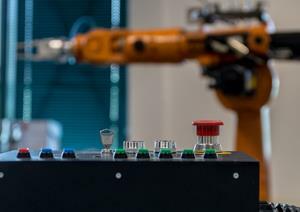 For these manufacturers, investing in a selective-compliance-articulated-robot-arm (SCARA) robot would be ideal, particularly for pick-and-place functions. Unlike the process of a systems overhaul, the installation of a SCARA robot should not result in long periods of downtime, particularly when using an experienced systems integrator. In fact, some robots can be installed in just one weekend. Without a doubt, investing in hardware can reap significant productivity and efficiency benefits for manufacturers when implementing Industry 4.0. However, there are simpler ways to update hardware and improve processes than investing in an entirely new system. 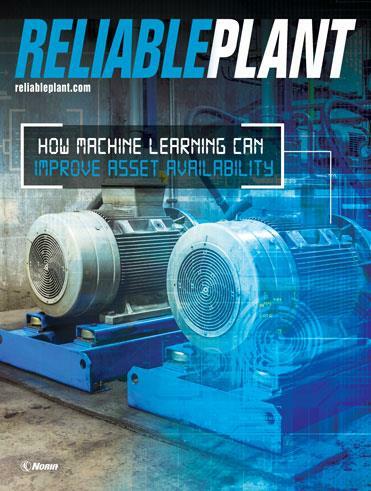 By implementing connected technologies, plants are no longer insular entities. By their very nature, smart factories are required to expand far beyond the walls of their own facility and become part of a larger ecosystem. Naturally, this increased connectivity brings new operational risks and unfamiliar security challenges. Manufacturers that implement Industry 4.0 technologies suffer many of the same cybersecurity threats as other industries. Advanced persistent threats (APTs), for example, have been used against the manufacturing industry for years with malware to extract sensitive data. However, as manufacturers connect pieces of operational technology (OT) — much of which will never have been connected to the internet beforehand — this can expose the vulnerabilities of the system to attack. Of course, not all cybersecurity breaches in the manufacturing industry are a result of malicious attacks. When planning for Industry 4.0 implementation, manufacturers should also consider training their staff on the importance of cybersecurity measures. This method can help manufacturers avoid accidental data losses and improve the overall security strength of the facility. As we enter the era of Industry 4.0, manufacturers should be prepared to witness significant changes to their production facilities. Despite common misconceptions, the transition to smart manufacturing is certainly not as threatening, expensive or dangerous as some manufacturers may believe. Nigel Smith is the managing director of TM Robotics, an industrial robot specialist.